Vitamins and minerals can help with managing diabetes. Here’s a quick list of some that we found and some notes to go along with them. Let us know what you use in the comments section and how they help you. Some natural medicine practitioners use riboflavin to treat certain drug-induced psychoses, as well as eye fatigue. Other health practitioners use riboflavin supplements for alcoholics, who often suffer from a deficiency of the vitamin. It is occasionally suggested as a cure for dandruff. RDA: 1.2 Mg – 1.7 Mg.
An established treatment for elevated cholesterol and triglycerides, niacin is also used to treat alcoholics, who are often vitamin deficient. Niacin has been suggested as a treatment for migraine headaches as well. RDA: 13 – 19 Mg. Supplements of pantothenic acid are used to support weak adrenal glands and to treat various symptoms of allergy. Pantothenic acid may help relieve constipation, promote healing of peptic ulcers, and overcome the intestinal paralysis that follows abdominal surgery. Creams containing pantothenic acid have been reported to help a wide range of skin conditions, including eczema. RDA: est 4 – 7 Mg daily. Also known as peridoxine, this vitamin is frequently recommended for various pre-menstrual symptoms, including pre-menstrual tension, acne, fluid retention, and migraines. Vitamin B6 may also counteract the depression that birth control pills sometimes produce. Among orthodox physicians, Vitamin B6 is the established treatment for one rare type of anemia, and is also used to prevent the side effects from certain anti-tuberculosis drugs. RDA : 1.8 – 2.2 Mg.
Natural medicine practitioners often give Vitamin B12 injections to patients suffering from fatigue, anxiety, depression, poor memory and insomnia. Vitamin B12 injections are the established mode of treatment for pernicious anemia, a rare blood disorder. RDA : 3.0 Mcg. This vitamin is often prescribed to infants with eczema, and other skin conditions. In addition, patients on dialysis may benefit from Biotin since it seems useful in managing some of the side effects. RDA: 100 – 200 Mcg. This B complex vitamin may be useful for treating canker sores and cervical dysplasia, a condition that is sometimes a precursor to cervical cancer. Folic acid may help prevent certain birth defects. RDA : 400 Mcg. For best results all other vitamins of B complex should be administered simultaneously. Prolonged ingestion of large doses of any one of the isolated B complex vitamins may result in high urinary losses of other B vitamins and lead to deficiency of these vitamins. An antioxidant, Vitamin C may prove useful in preventing certain cancers, as well as protecting the body against the harmful effects of pollution, smoking, and radiation therapy. Natural practitioners often give Vitamin C supplements to aid in wound healing and increase resistance to stress. RDA : 60 Mg.
As an antioxidant, Vitamin E may help prevent some cancers and cardiovascular disease. Because the vitamin keeps cholesterol and polyunsaturated fats from breaking down into harmful substances in the body, nutrition-oriented physicians use Vitamin E for a number of cardiovascular conditions. 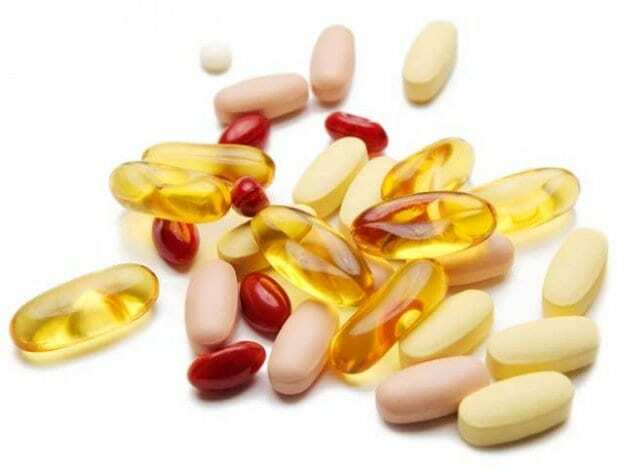 Among women, Vitamin E has also been reported to alleviate fibrocystic breast disease, prevent miscarriages and to relieve pre-menstrual tension. RDA : 8 – 10 Mg tocopherol equivalent (12 – 15 IU). Expert nutritionists estimate the actual requirement at 100 – 200 IU daily. Vitamin K, in combination with Vitamin C, Vitamin K may relieve nausea and vomiting during pregnancy. It may help those with recurrent nosebleeds or heavy menstrual bleeding, probably due to it’s role in blood clotting. RDA : N/A . Est safe and adequate intake: 70-140 Mcg. Best known for it’s role in preventing osteoporosis, Calcium has also been used to treat high blood pressure and elevated cholesterol and triglyceride levels. RDA : Adult 800 – 1200 Mg, children or pregnant women 1000 – 1400 Mg. This mineral is routinely used to treat iron-deficiency anemia, a condition that most commonly afflicts women of child bearing age. Iron overload may lead to other health problems. Some practitioners recommend iron to treat a condition called restless leg syndrome. RDA : 10 Mg males, 18 Mg females. Magnesium therapy may be helpful for a wide rage of conditions, including high blood pressure, heart disease, premenstrual syndrome, migraines, asthma and fatigue. Some practitioners believe that Magnesium may also help alleviate anxiety, depression and hyperactivity. RDA : 350 – 400 Mg.
An antioxidant. Natural medicine practitioners use Selenium to treat arthritis and connective tissue disorders, and to prevent cataracts and age-related vision loss. Selenium-sulfide shampoos are commonly used to control dandruff. RDA : N/A Est safe and adequate intake 0.05 – 0.2 Mg.
Natural medicine practitioners as well as some orthodox physicians believe that chromium deficiencies may contribute to diabetes and hypoglycemia and recommend supplements for those at risk. RDA : unknown. est safe intake 0.05 – 2.0 Mg. This mineral has found wide use among natural practitioners. Zinc has been reported to benefit people suffering from arthritis, acne, boils, skin ulcers,peptic ulcers, infertility, loss of taste and smell and enlarged prostate glands. RDA : 15 Mg. This entry was posted in Nutrition on February 13, 2015 by admin.